Barcode printers live in a hostile environment. Statistic: 9X out of 10 warehouse operators don’t care about the life of the printer, they just want to get their job done. Barcode label printers, ranging from products and packaging to shipping, receiving and containers, need to be ruggedized and connected. When you add barcode label printers to your warehouse arsenal you get what you pay for. Printing and reliability have become standard expectations in warehouse environments. Deploying stationary and portable printing is both cost effective and indispensable. 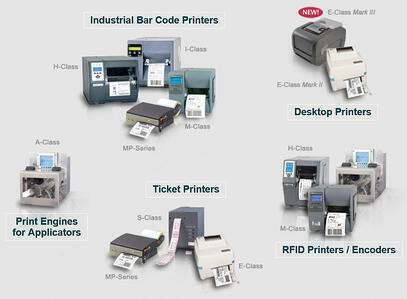 Today we are featuring the Datamax-O’Neil brand of portable and stationary industrial barcode printers. For example: The RL4 is RUGGED, redefined. It is built to survive multiple drops to concrete and still print high-quality labels, every time. Enhance your printer offering with one of the most reliable, high-performance mobile label printers available in the market. Datamax-O'Neil's RL4 is built rugged enough to survive multiple 6' drops and still print high-quality labels every time. It integrates seamlessly into any operating environment, handles unique 802.11 security and encryption situations, and is compatible with the industry's most popular WMS and label design software packages, such as Seagull Scientific Bartender Enterprise. Their broad range of Industrial Bar Code Printers satisfies a variety of applications and duty cycles to meet your needs in many industries. Industrial printers cover a broad range of solutions from printing less than 4000 labels per day to 24/7 mission critical printing needs. RFID printer/encoders give you a broad range of UPC UHF Gen 2 and HF RFID printers supporting diverse demands of today’s constantly advancing RFID implementations. Whether it's shipping and distribution, item level tagging or any other business enhancement project, these printers provide you with high quality, reliable performance. 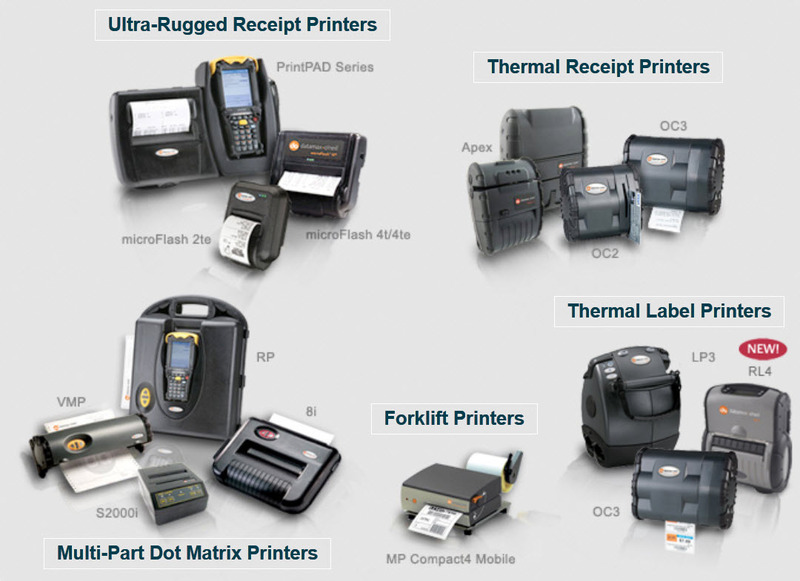 Thermal desktop printers are compact, cost effective, and easy to use. They are designed to fit and operate in small tight areas where space is limited without sacrificing print quality, reliability, or price. These printers will redefine your expectations for rugged. Santa Clarita Consultants is an authorized Datamax-O’Neil printer partner offering a complete line of durable and rugged barcode printers integrating warehouse management software printing solutions. For more information on barcode printer enterprise hardware options, please drop us a note and we will help you design your optimal barcode printing strategies. Please register for an on-site assessment of your enterprise and ERP technologies.